As you may already know, a periodontist (“peri” – around; “odont” – tooth) is a dentist who specializes in the gum, bone and connective tissues that surround and support your teeth — in short, everything that attaches your teeth to you. A periodontist is a dentist who specializes in the diagnosis, prevention, and treatment of periodontal disease. A periodontist also specializes in the placement of Dental Implants such as Single Tooth Replacement, Full Arch Replacement, Multiple Teeth Replacement as well as Implant Supported Dentures. Periodontists are also specialize in the treatment of oral inflammation and the treatment of periodontitis (Periodontal Disease). They do this by helping you understand the types of periodontal disease as well as it’s signs and symptoms. Periodontists receive extensive training in these areas, including three additional years of education beyond normal dental school. They are familiar with the latest techniques for diagnosing and treating periodontal disease, and are also trained in performing cosmetic periodontal procedures. Periodontists often treat more problematic periodontal cases, such as patients who are suffering from severe gum disease or have a complex medical history. They also offer a wide range of treatments, such as scaling and root planing (in which the infected surface of the root is cleaned) or root surface debridement (in which damaged tissue is removed). 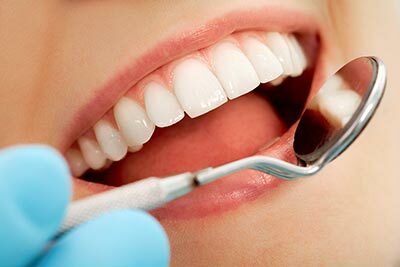 They can also treat patients with severe gum problems using a range of periodontal surgical procedures. In addition, periodontists are specially trained in the placement, maintenance, and repair of Dental Implants. During your visit, your South Calgary Periodontist will examines your gums, they will check to see if there is any gum line recession, assesses how your teeth fit together when biting, and checks to see if any teeth are loose. The periodontist will also take a small measuring instrument called a probe and place it between the teeth and gums to determine the depth of those spaces, known as periodontal pockets; this helps the periodontist assess the health of the gums. 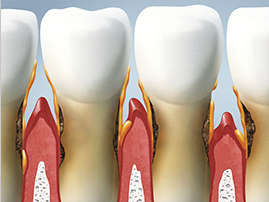 X-rays may also be taken to observe the health of the bone below the gum line.